Your support over the past few days (about our baby boy news) has been so overwhelmingly helpful and special to me. The news is finally starting to sink in and I am getting excited about it. My Mommy sent us Ollie The Onion Head from The Black Apple. She is over the moon thrilled about having her very first grand baby. p.s. My dear friend from college, Kristen, recently informed me that Felicity (our favorite show back then) is available for streaming on Netflix. I'm am hooked all over again. 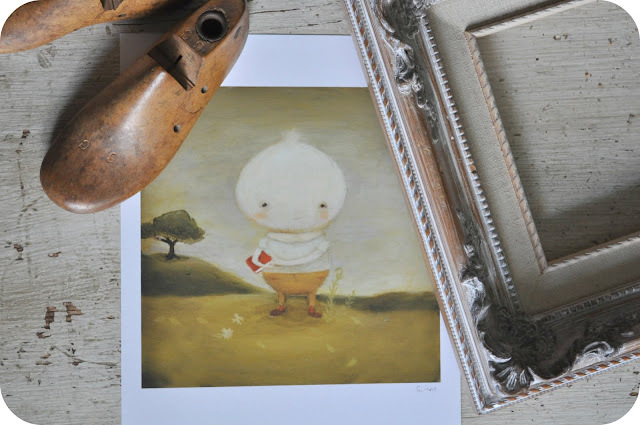 I am so excited for your bundle of joy and I love that print!!! YES! I am watching en episode every night in bed while Dan reads...and I totally start laughing when I remember laughing at scenes with you. And I forgot how much I LOVED Javier! Best accent ever. Now if only I could get Wendy's to come out with the Monterrey Ranch chicken sandwich so I can eat it on your dorm room floor...such great memories. OK, I've never seen the show, but maybe I should give it a go, since I'm enjoying your taste in just about everything else! I have to tell you, that I discovered your blog not too long ago and I'm really hooked! I never left comments because I let my own blog lapse. I'm back up though, partially because of you. So, a big thank you for the inspiration. Congratulations again on the soon to be, bundle of joy.